The Below text is written by Keelin Burrows who is the Curator of the project at THE PRINTING MUSEUM, Houston, USA. 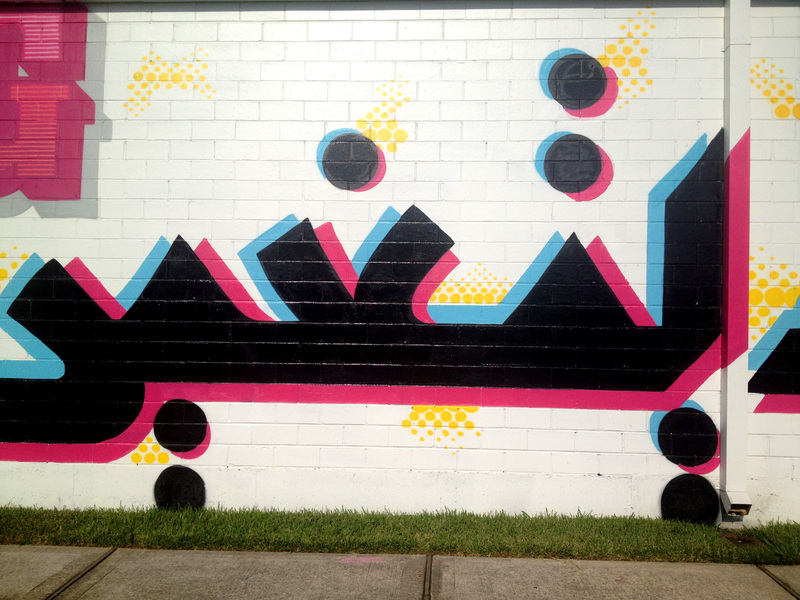 Changing Language, Changing Worlds is the collaborative work by Beirut-based, Lebanese graphic artist, Pascal Zoghbi and local graffiti artist, DUAL. They designed and executed the typographical mural for the museum’s western exterior wall, creating a dialogue amongst artists of different ethnicities and nationalities, as well as different artistic backgrounds. 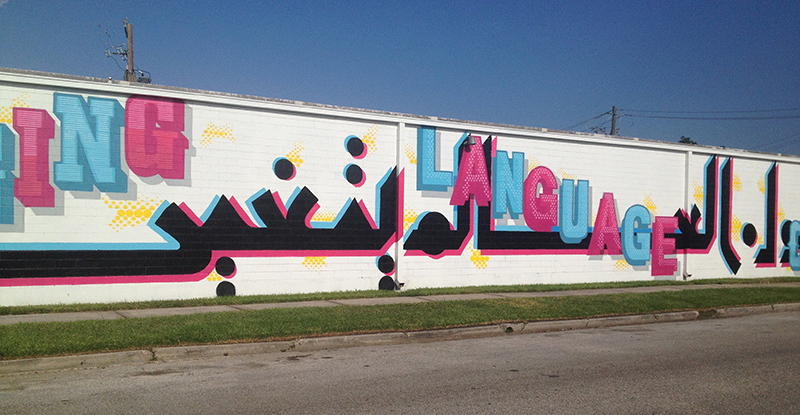 This pilot project for the museum was intended to engage existing and new audiences, including the surrounding neighborhood and the Arab-American community in Houston. This project, while serving to bridge communities, also serves to bridge the divide between languages, written and spoken. 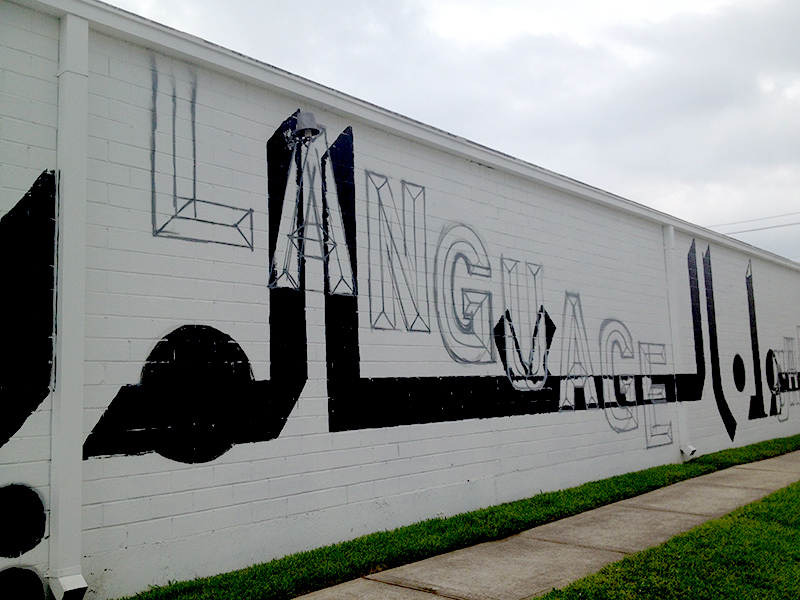 The mural is centered along Zoghbi’s hand drawn and digitally rendered calligraphic script, executed in black latex paint. 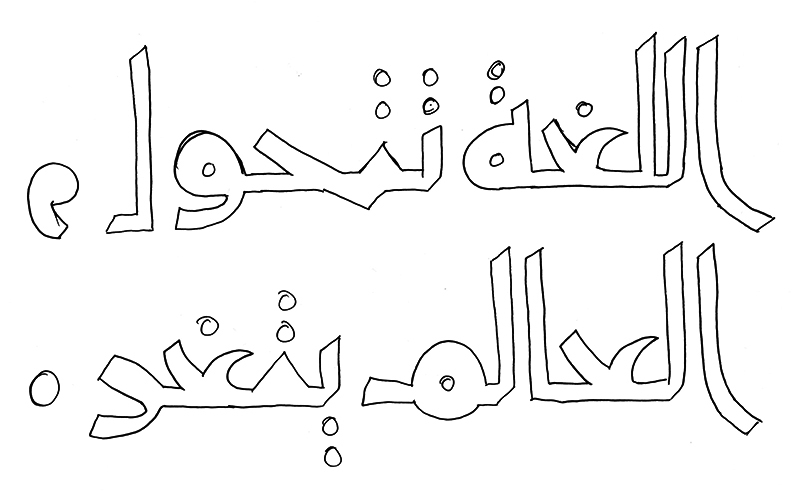 The Arabic script is written and read from right to left. Intertwined with the Arabic lettering is the English translation, which reveals in vibrant, interchanging colors the project’s title “Changing Language, Changing Worlds”. 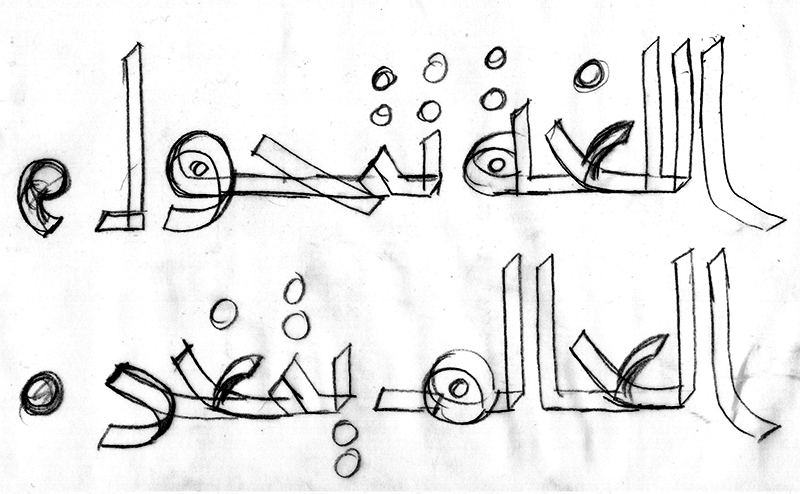 The shapes of the Arabic letters are altered depending on their position in the word as can be seen in the different renderings of the Arabic word for “changing”. DUAL’s letters, in magenta and cyan, are inspired from American sign painting traditions. 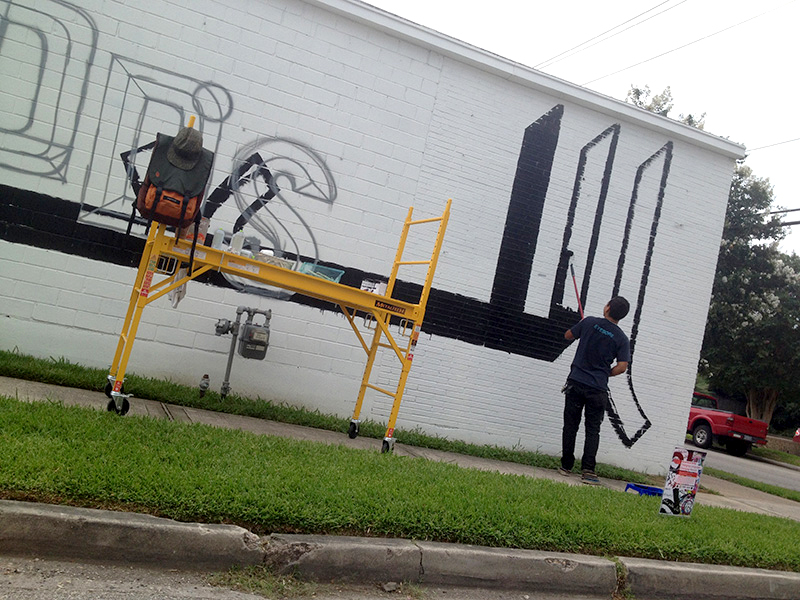 He creates letterforms that are distinct and legible, but stylized. His work incorporates visual irony in his use of CMYK and halftoning effects, which reference the technical characteristics of printing. He explains that the first word “Changing” is based on a serif typeface, while the second and fourth words “Languages” and “Worlds” are inspired from the font-type Helvetica with a beveled inflection. 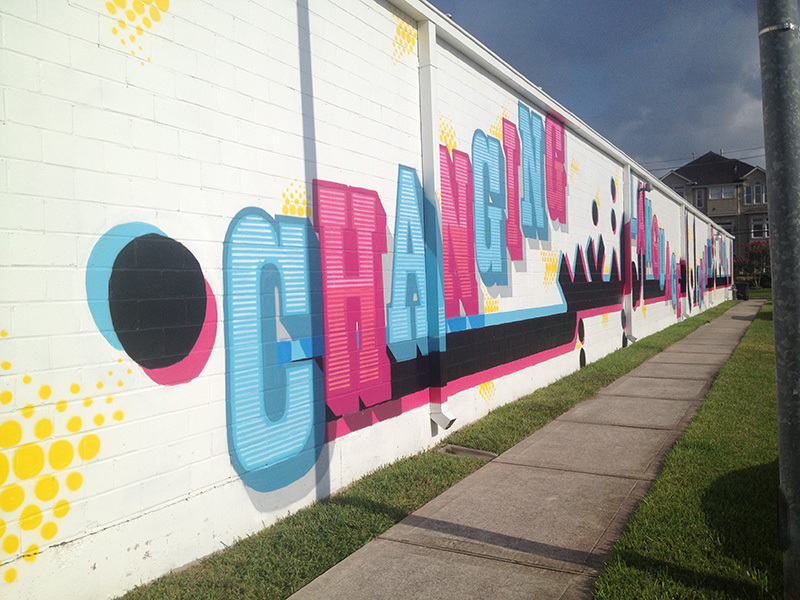 The third word, also “Changing”, has a southwestern influence apropos to Houston. Similar to the disappearance of calligraphic shop signs in the Arab world, DUAL, like his Arab contemporaries, is keeping alive the tradition of sign painting through his reinterpreted letterforms and graffiti. In contrast, Zoghbi’s writing is based on the calligraphic tradition deeply rooted in Arabic culture. Inspired from the archaic Kufic script, an ancient writing often used in copying the Qur’an from the 8th through the 10th centuries, his lettering resurrects a style that has been marginalized by the predominance of printed culture. With the introduction of western printing technologies in the 16th century, the secular and more common cursive styles were adapted as typefaces for spreading religious and political information throughout Arab countries. Through the development and advancement of digital technologies, the means of type design has become more flexible and affordable bringing type design closer to the hands of Arab designers, as opposed to western manufacturers who primarily made type based on Latinized versions of fonts. The Kufic style is now being revived and reclaimed by contemporary Arabic graphic designers, such as Zoghbi, and reinterpreted into new fonts for a changing Arabic world. 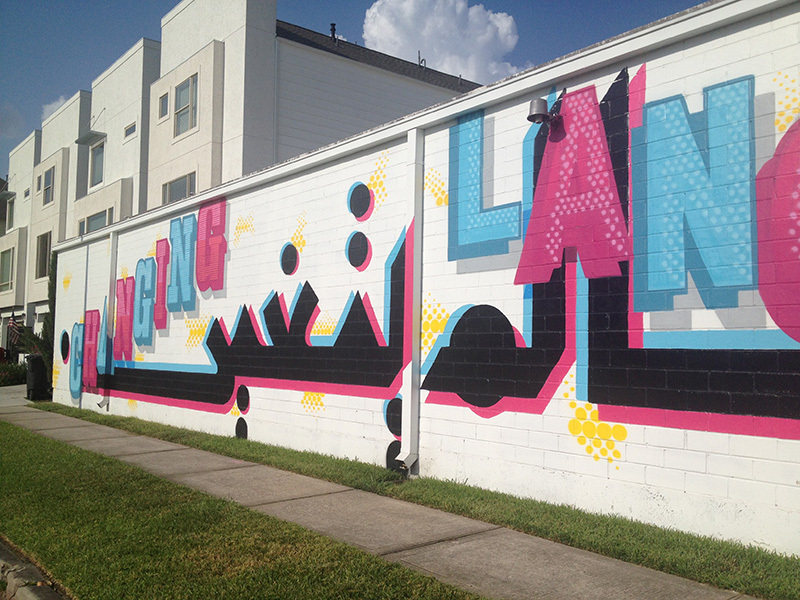 This mural commission is in conjunction with the exhibition Contemporary Arabic Graffiti and Lettering: Photographs of a Visual Revolution, on view at The Printing Museum through September 13, 2014. Inspired from the 2011 publication Arabic Graffiti written by Don Stone Karl and Pascal Zoghbi, the exhibition of 30 photographs examines how contemporary Arabic graffiti artists, mostly from Middle Eastern descent, are reviving and reinterpreting Arabic letter forms into a new graphic style, creating lettering and typography that is becoming a part of an increasingly globalized design field and practice. 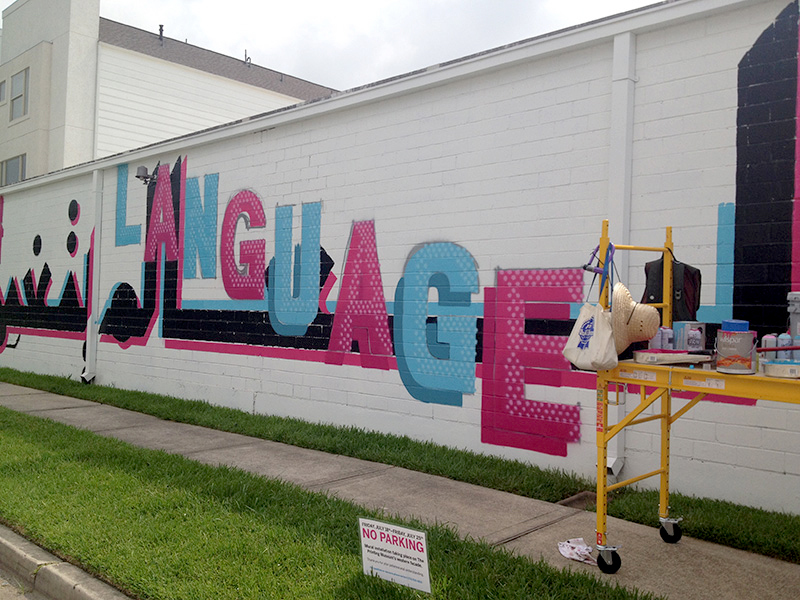 The Changing Language, Changing Worlds mural project is underwritten by Mid-America Arts Alliance (M-AAA), which is supported by public, local, state, and federal agencies, as well as private contributors. Addi­tional support is provided by the Arab-American Cultural and Community Center (ACC) of Houston, and the American Institute of Graphic Artists, (AIGA) Houston. Major support for The Printing Museum operations and programming is provided by the Houston Endowment, Inc., The Wortham Foundation, Inc., The Brown Founda­tion, Inc., and Mid-America Arts Alliance. The Printing Museum is funded by grants from the City of Houston through Houston Arts Alliance. Additional support is generously provided by the George and Mary Josephine Hamman Foundation, the Kinder Morgan Foundation, the Albert and Ethel Hersztein Foundation, Saint Arnold Brewing Company, CenterPoint Energy, Clampitt Paper, InfoVine Inc., Copy.Com, Spindletop Design, and Whole Foods Market. 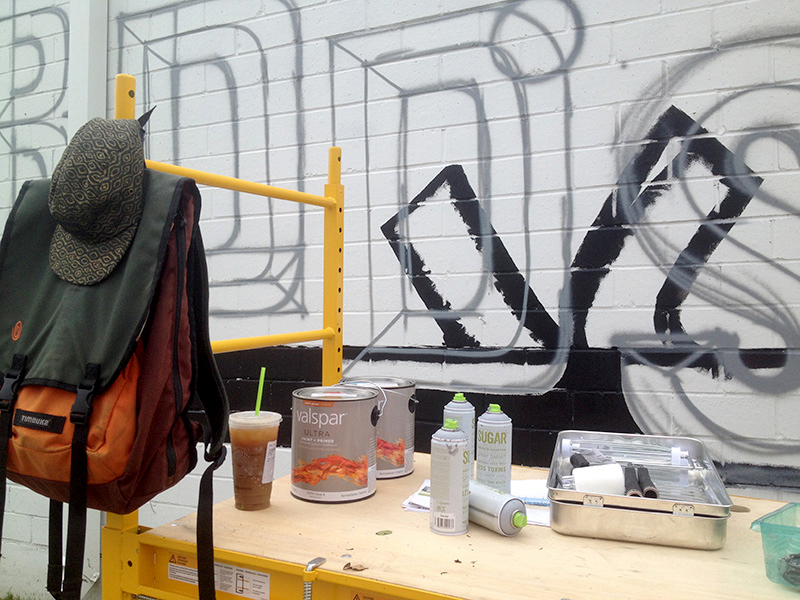 *Unfortunately, due to a broken foot, Pascal Zoghbi was unable to travel to the U.S. for the execution of the mural. He hopes to visit Houston at the end of August or early September to deliver his lecture “Arabic Type Now: Contemporary Letters Inspired from Archaic Manuscripts”. Dates and time are to be determined. Please visit The Printing Museum’s website http://www.printingmuseum.org for more details.